Imagine watching a sports game live and having the ability to find all plays which are similar to what just happened immediately. Better still, imagine having the ability to draw a play with the x’s and o’s on an interface, like a coach draws up on a chalkboard and finding all the plays like that instantaneously and conduct analytics on those plays (i.e., when those plays occur, how many points a team expects from that play). Additionally, imagine having the ability to evaluate the performance of a player in a given situation and compare it against another player in exactly the same position. We call this approach “Interactive Sports Analytics” and in this talk, I will describe methods to find play similarity using multi-agent trajectory data, as well as predicting fine-grain plays. I will show examples using STATS SportVU data in basketball, Prozone data in soccer and Hawk-Eye in tennis. Patrick Lucey is currently the Director of Data Science at STATS. His charter is to maximize the value of fine-grained player tracking data currently captured in high-performance sports. Previously, Patrick was at Disney Research for 5 years, where he conducted research into automatic sports broadcasting using large amounts of spatiotemporal tracking data. Previous to that, he was a Postdoctoral Researcher at the Robotics Institute at Carnegie Mellon University conducting research on automatic facial expression recognition. 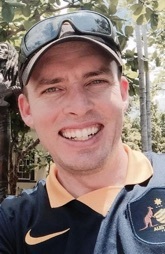 Patrick received his BEng(EE) from USQ and his PhD from QUT, Australia in 2003 and 2008 respectively. He was co-author of the best paper at the 2016 MIT Sloan Sports Analytics Conference, and has won best paper awards at INTERSPEECH (2007) and WACV (2014) international conferences. His main research interests are in artificial intelligence and interactive machine learning in sporting domains.